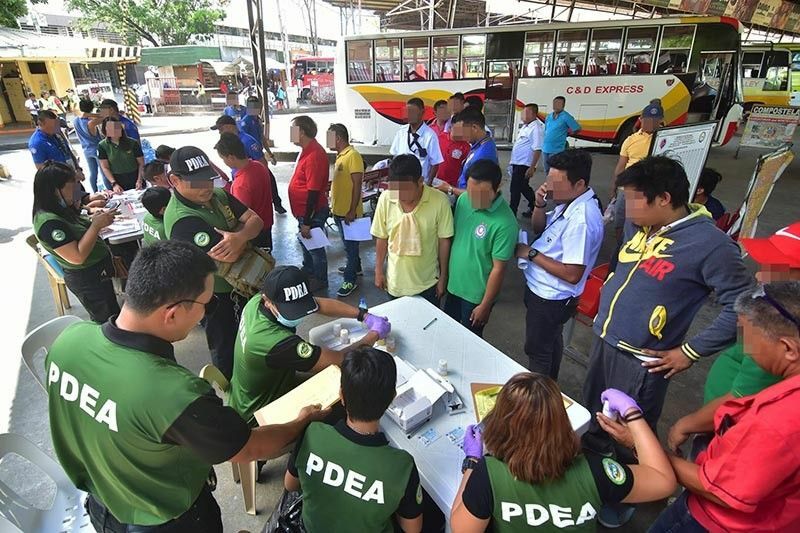 THE Philippine Drug Enforcement Agency in Davao (PDEA 11) said four bus drivers and four conductors were found positive for drug use during the surprise mandatory drug testing Monday morning, April 15, at the Davao City Overland Transport Terminal (DCOTT). PDEA 11 Regional Director Antonio Rivera said the drug test was part of the Oplan Huli Week. A total of 190 bus drivers, 114 conductors, three dispatchers and one inspector at DCOTT, Ecoland, Davao City underwent the surprise test. Rivera said the Land Transportation Office (LTO) immediately confiscated the licenses of the erring drivers, whose identities were not disclosed, based on Republic Act 10586 or The Anti-Drunk and Drugged Driving Act of 2013. The drivers will not be allowed to drive unless they will complete the rehabilitation process. “Ongoing counseling by our Preventive Education and Community Involvement Section (PECIS) officer and PDEA [was conducted to] the drivers who [were] found positive in the initial screening for a drug used,” Rivera said. He said this is to ensure that drivers and conductors are in good shape and are not under the influence of illegal drugs when traveling. This is also to ensure the safety of the passengers during Holy Week. “As the lead agency in the anti-drug campaign, the Philippine Drug Enforcement Agency in collaboration with the other law enforcement agencies will ensure the safety and security of the passengers and the public and at the same time, no illegal drug activities will take place during the Lenten season holidays,” Rivera said.